Firstly the climate. The southern region is extremely wet and very cold in April. I arrived in a downpour and it did not really stop for 4 days. I still visited Botero Museum, the most famous artist from Colombia who paints only obese people. Then the Colombians I met there kept telling me to be extremely careful not to talk to anyone I don't know and to keep my distance. I do not know if the city is really dangerous or if people overplay it. 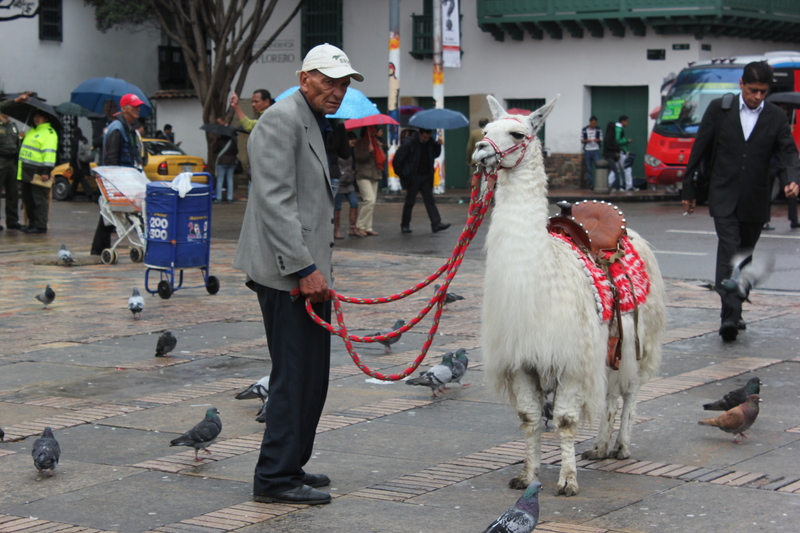 Nevertheless, I had heard many stories not very reassuring about Bogota. So one almost becomes paranoid and suspicious when walking around. 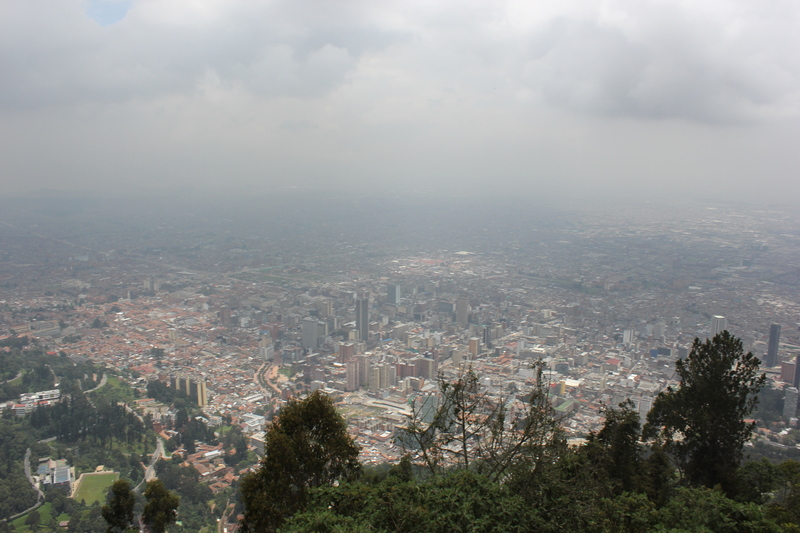 Nevertheless my stay in Bogota was a milestone because I stayed with a family absolutely adorable. I felt like part of the family during these four days. They cooked for me delicious traditional dishes, we played board games and the last day the whole family came up with me Monte Serrate, a high mountain that overlooks the city. Before leaving the mother gave me a book from his library so I could practice my Spanish on the way. I also met Kelly, a friend who lived in London more than three years ago. The feeling of seeing a familiar face is rather strange but it's a very good feeling. 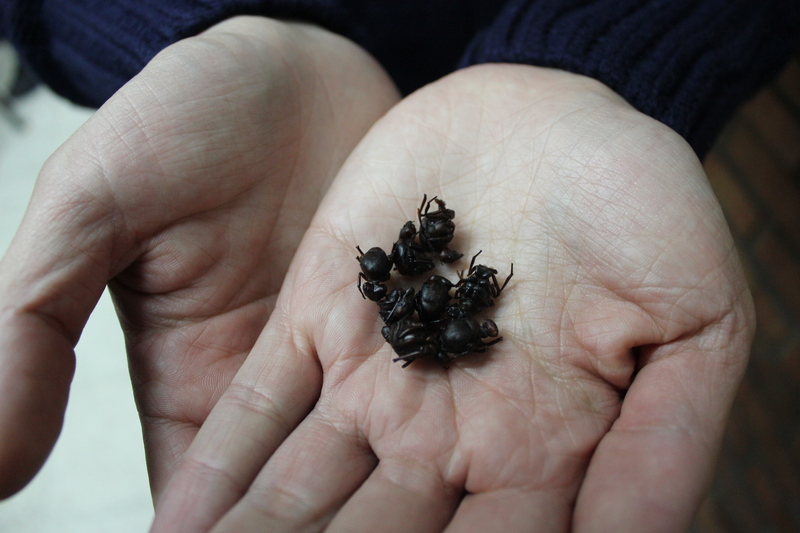 Finally it was in Bogota that I tasted the hormigas which are huge ants that are caught in the region of Satender. Disgusted at first just in contact with the insect, I ended up eating it. It turns out that it is very very good, I even took back even a few! So mixed feelings for this city that do not specifically strikes for its aesthetic and even less for its atmosphere but to the people I met there.